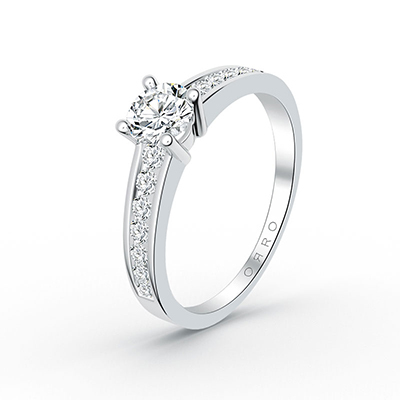 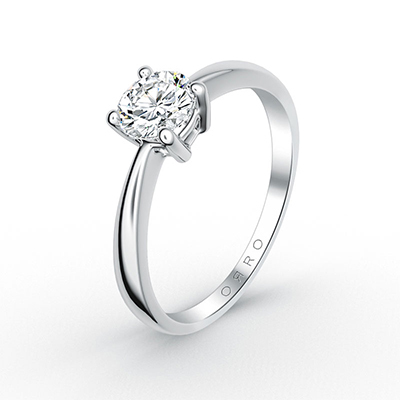 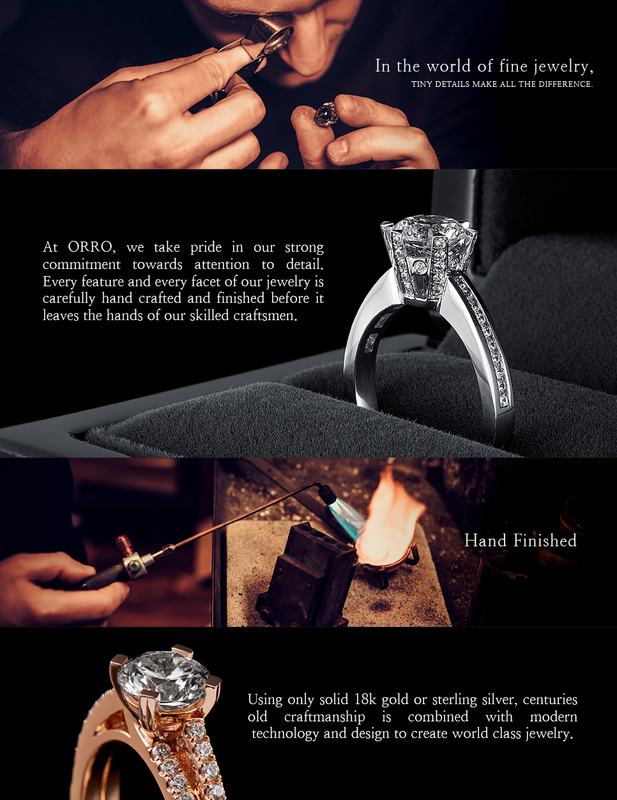 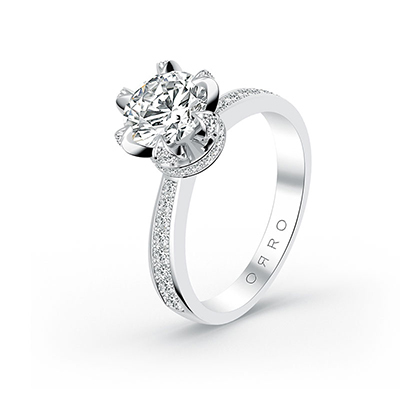 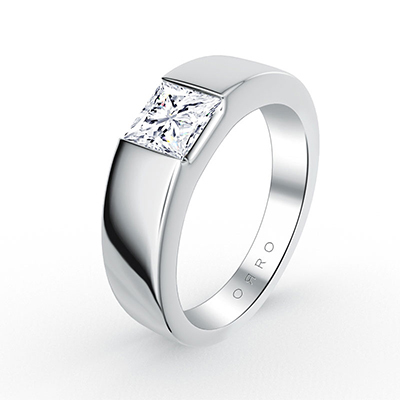 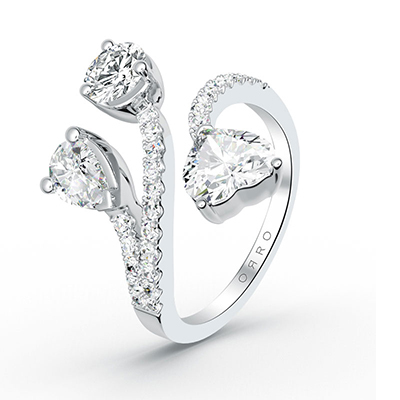 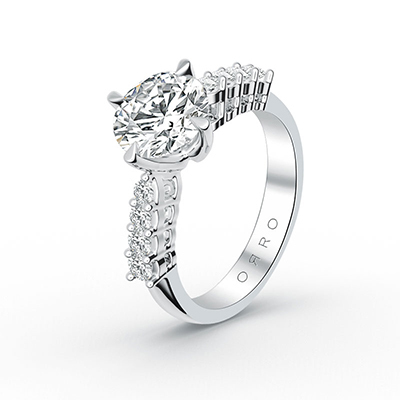 The ORRO Paved Four Pronged Solitaire Ring offers timeless everyday elegance with a touch of added brilliance. 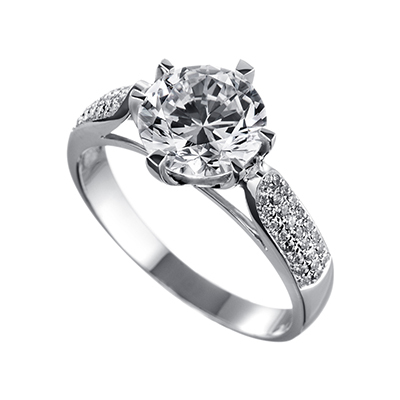 A single 2.00ct round brilliant cut stone set in a four pronged diamond setting is accompanied by stones paved on both sides of the ring band. 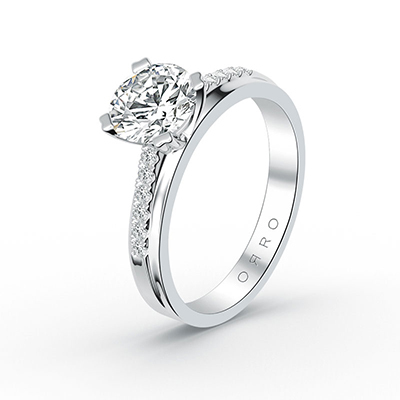 The total carat weight of this ring accumulates to 2.11ct.